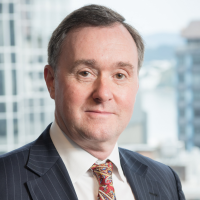 TeamTalk Limited (NZX: TTK), the publicly listed telecommunications services provider today announced its interim six-month result for the period ended 31 December 2018. TeamTalk’s Chief Executive Andrew Miller said, “We are pleased to report that our results are in line with our plan and can confirm guidance for the current year to be broadly in line with last year’s result of $4.4m. “When we issued guidance for the current year, we highlighted that there would be an increase in operating costs associated with our investment in capability to complete the company’s transformation and to position the business for future growth. The half-year result reflects exactly that. TeamTalk undertook capital expenditure of $3.6m during the period, most of which was invested in the company’s new Digital Radio Network. Inventory also increased, a combination of stock held for capital project rollouts and digital radio terminals required to migrate customers to the new Digital Network, and net company debt at 31 December 2018 was $11.4m, the lowest it has been in over a decade. “The reduction in debt was due to a successful placement and rights offer which raised $8.2m late last year. The fact that the offer was taken up by 81% of the shareholders was a strong endorsement of the company’s strategy and has enabled further investment in our infrastructure and accelerated the introduction of new services,” Andrew Miller said. Looking forward, TeamTalk expects to complete the undergrounding of its fibre network in the Wellington CBD by mid-2020. The transition to the new Digital Radio network is proceeding to plan. The rollout of the Digital Radio network was 50% complete as at 31 December 2018, with the first phase of the rollout on track for completion by 30 June 2019. TeamTalk Chairman Roger Sowry said, “The company is on track and well placed for sustainable success. The investments currently being undertaken will assist in producing greater shareholder returns in the medium to long term. Original generation time 1.6358 seconds. Cache Loaded in: 0.0227 seconds.